If you are a long time follower of this blog, you know that I have shown you how to unlock the voice calling functionality of Huawei HSPA USB dongles. That guide was easy but DC-Unlocker long time ago decided to stop the free voice unlocking service. Lots of readers have been asking me how to unlock voice calling. On this guide I will explain how to do this by sending commands (AT) to your HSPA dongle. First you need to verify if your modem supports voice calls. To do that download DC-Unlocker and run it. It will detect your modem and display the information about it. As you can see on the above screenshot, There is a field called “Voice Feature”, my modem is already unlocked so it displays enabled. If your modem has this function it will display “Disabled” . This means your modem has this functionality and we need to unlock that to make it work. We can do this within the DC-Unlocker. Click on the white box where it displays the above mentioned info, You can use this to send AT commands to your modem. However be warned that sending wrong codes might destroy your firmware. So DO THIS AT YOUR OWN RISK. Bus 010 Device 007: ID 12d1:14ac Huawei Technologies Co., Ltd.
any chance of enabling voice? Is possible that such feature has a so secret command to be enabled that no one can find it on Internet in 2013. 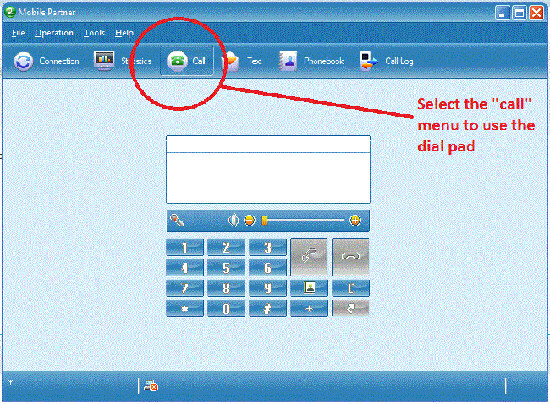 -tried the AT^CVOICE=0 but voice feature stay disabled. -tried some other steps found on google with AT^U2DIAG=5 then restart Modem with AT+CFUN=1,1 that seem to work for the tutorial video but not for my E1550 as the (5) disables the modem but on tutotrial by magic , the guy can query the modem with DC-unlocker showing voice enabled. It was a miracle seeing DC unlocker discover the modem while no modem was present in device manger. does anyone knows how to enable this f.. feature without paying the DC-unlocker fee? what’s with this secrecy with this command?!! Is there a list of voice enabled modem? Next post: Penguin 2.0 is now in effect! Are you seeing any changes?